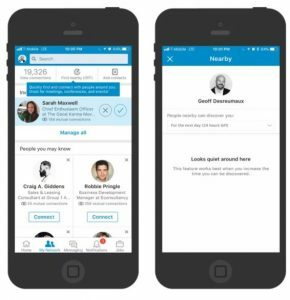 LinkedIn is testing a new feature to enable its users to connect with people nearby, whether it be in a conference, meeting or event. The new feature is called “Find Nearby”, and is a tool to network in a business and professional environment. 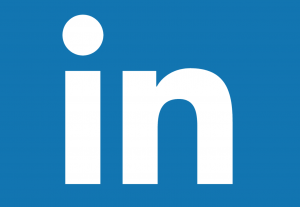 The message “LinkedIn would like to make data available to nearby Bluetooth devices even when you’re not using the app. We will help you connect with others that are nearby,” will appear on a user’s phone when trying to access the feature. The tool can help users connect with people that they have seen but not been able to speak to at an event. “Find Nearby” uses the users device’s Bluetooth to function and “scans” the people around you. Once a user has activated the feature, they can then choose to let people nearby discover them.